Hi, there! 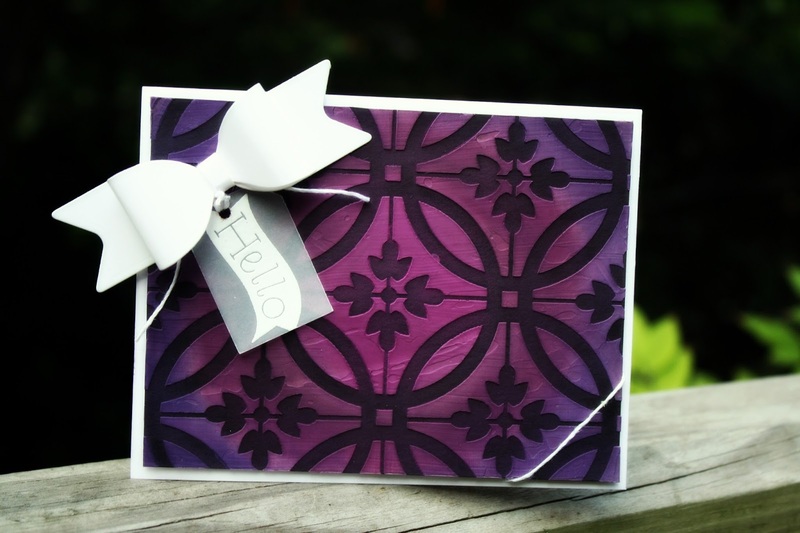 Today I want to showcase a card I made using our Fun Stampers Journey Pan Pastels, modeling paste and stencils! Check it out! Isn't she a beauty? I love how easy this card was to make, yet, it looks like it took a lot of skill to create! It didn't! Lol! Check out this video showing how I used those three products to create this and a few other cards. Love what you see? Come shop with me at my Fun Stampers Journey shop! Click on the item you are interested below and it will take you to my website! Thanks so much for stopping by! Wow, Janice! Great video..... all of the backgrounds are just gorgeous! Questions - when you use them on top of the dried modeling paste, do you have to use a fixative, or do they 'stay put'? Stunning card Janice - thanks for the video. One tip, when I am stenciling with paste I keep a bucket/bowl of water handy and drop the stencil straight into it, and then I have time on my side when it comes to cleaning it, and I can continue with the project for a while. @Julie Robinson Thanks, Julie! :) So, I did a test with it various ways for smudging off. If you rub with firm pressure with your fingers, there will be some that comes off. And I mean just a faint hue on your fingers. I then put it up against some copy paper and it didnt smear at all. Finally, I put white copy paper over it and rubbed firmly against it. A faint outline of some of the stencil design came up. That was with me rubbing firmly against it. All that to say, I don't see a need to spray fixative over it when I use the paste. But, someone else might!